Glasshape’s DuraShield Marine team supply and install the largest superyacht windows ever fitted in the United States. Space. Light. The airy feeling of the great outdoors, and the comfort of the main salon in one complete experience. Is it possible? Thanks to some very advanced engineering and the brilliant team at Glasshape Superyacht Glazing, yes. Called upon late last year by the prestigious yacht builder Palmer Johnson, Wisconsin USA, the Glasshape Group had a daunting task ahead. Manufactured in one solid piece, a 6.6M long x 2.2M High floor to ceiling salon window, direct glazed to the yachts exterior framework. Times two, no less. 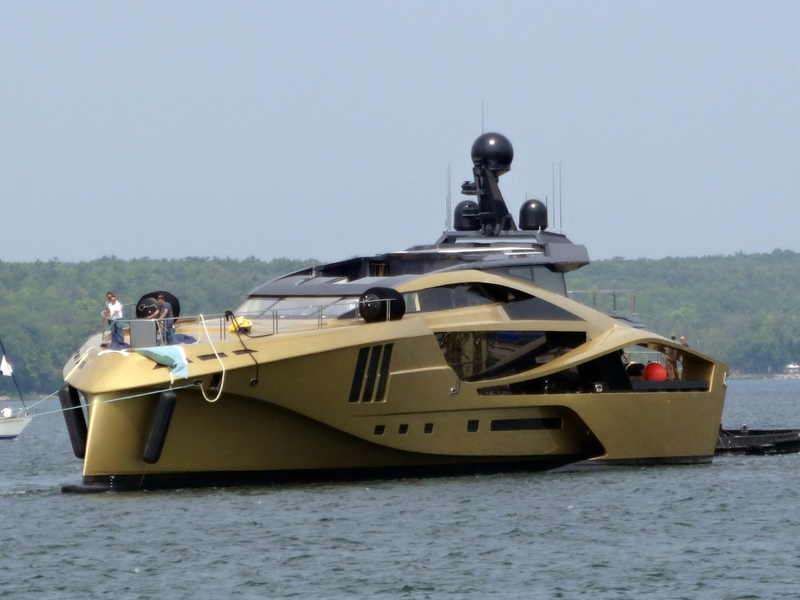 The Palmer Johnson Supersport range is a totally carbon fiber superstructure, and is the first of its kind and class. The Supersport is not the first build where superyacht designers have challenged the brightest ingenious of naval architects. However, it has two firsts of relevance; one being, it is the first carbon fiber total superstructure build for North America, and secondly, it is the first carbon fiber superyacht to feature such enormous windows. To meet the rigorous classification society standards including DNV, ABS, and Lloyds Register, Glasshape manufacture with very strict and arduous workmanship on unique and specialized glazing applications. The challenges of the Supersport windows, in addition to requiring one of the largest glass ovens in the world, also imposed a daunting logistics issue. The 26mm thick behemoth windows weighed in at just over one metric tonne, meaning no mistakes allowed, both in the process of building, but of transporting, and finally, installing onto the yacht. Super-sized super-yacht windows create multiple challenges. Firstly, is that of the HVAC department. To prevent the inevitable greenhouse effect, special procedures and implementation of advanced reflective pyrolitic coatings are used to allow the desired light transmission, but reduce the SHGC, or Solar Heat Gain, coefficient. Secondly, the thermal expansion and contraction of the glass, as it heats up in the noonday sun for example, changes at variance with the expansion and contraction of the yacht’s superstructure. This, in turn, means special advanced bonding methods must be utilized to ensure safe absorption of all flex and thermal movement. For more information on the world of Superyacht glazing, see the Glasshape Group’s marine-specific website. Kiwi innovation, advanced technical equipment, and brilliant ingenuity allow seemingly impossible dreams, to become exciting realities for the most demanding applications.